DELAWARE, Ohio – Historian and author Pete Kakel, Ph.D., will discuss the origins, context, and content of the Holocaust when he presents “Hitler’s ‘Indian Wars’ in the ‘Wild East’: The Holocaust as Colonial Genocide” at Ohio Wesleyan University. Kakel, a research historian and lecturer in modern history at the Johns Hopkins University Center for Liberal Arts, will speak at 7 p.m. Feb 20 in Benes Room B of OWU’s Hamilton-Williams Campus Center, 40 Rowland Ave., Delaware. His free, public presentation represents Ohio Wesleyan’s 2019 Robert Kragalott Lecture on Genocide, Mass Atrocity, and Human Rights. During his presentation, Kakel will argue for a radically new interpretation and understanding of the Holocaust centered on Hitler’s vast imperial ambitions in Eastern Europe. Kakel is the author of two books: “The American West and the Nazi East: A Comparative and Interpretive Perspective” (Palgrave Macmillan, 2011) and “The Holocaust as Colonial Genocide: Hitler’s ‘Indian Wars’ in the ‘Wild East’” (Palgrave Macmillan, 2013). His article “Patterns and Crimes of Empire: Perspectives on Fascist and Non-Fascist Extermination” appears in the most recent issue of the Israel-based journal, Dapim: Studies on the Holocaust. He currently is working on a book on the globalization of American frontier history (under contract with Palgrave Macmillan). 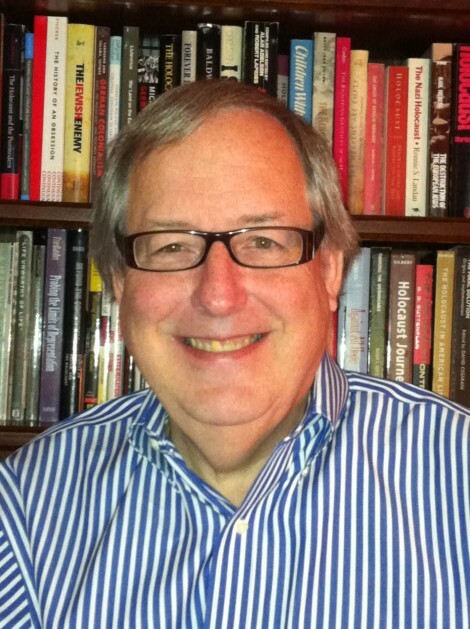 Kakel is a 1969 graduate of Ohio Wesleyan, earning his Bachelor of Arts degree in history. While at Ohio Wesleyan, he was a member of the national history honor society, Phi Alpha Theta, and of the Sigma Phi Epsilon fraternity, men’s soccer team, Student Senate (precursor to the current Wesleyan Council on Student Affairs), and Young Democrats. He earned his Master of Liberal Arts degree (history concentration) from John Hopkins University and both his Master of Arts in Holocaust Studies and Doctor of Philosophy in Modern History from Royal Holloway, University of London. Ohio Wesleyan’s Kragalott Lecture honors the career, contributions, and memory of Robert Kragalott, Ph.D., a professor in the OWU Department of History from 1964 to 1991. Learn more at www.owu.edu/history.